Famous economist John Maynard Keynes called gold a barbarous relic in 1924, but these ten central banks still love the precious metal. Which countries lead the pack? Owning physical gold as an individual investor is something that gets counted in ounces. Even full on "gold bugs," investors who are really into gold, are likely to own a relatively small amount of the precious metal. At least relative to central banks, which work on an entirely different scale. These giant government institutions own tons of gold. 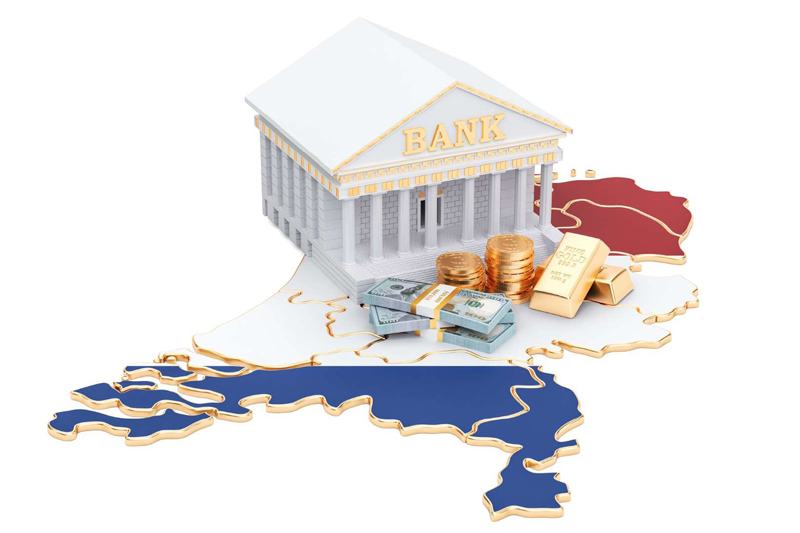 Interestingly, however, a recent survey by the World Gold Council suggests that the reason a central bank owns gold and reason that an individual owns gold are roughly similar. Of the 22 central banks the Council surveyed, 94% viewed it as a safe haven asset, while 82% thought it was an effective portfolio diversifier. These are two of the biggest reasons why individuals buy gold. Meanwhile, 88% saw it as a universally accepted medium of exchange, even though the world's fiat currencies have long been disconnected from their gold-linked pasts... That's pretty much the zombie apocalypse reason for owning gold. All in, central bankers seem to like gold for the same reasons you like gold. That said, who are these giant central banks? The second most populous nation on Earth, India sneaks in at No. 10 on the largest gold holdings list. It has a little over 590 metric tons of the metal. The country held roughly 360 metric tons of gold between 2000 and 2009, but at the end of that year increased its holdings by more than 50% to around 560 metric tons. Additional gold acquisitions in 2018 pushed the tally to the current figure. Although no reason was given for the purchase, central bank watchers have suggested that it was likely an attempt to offset the impact of U.S. dollar fluctuations. That said, India is one of the world's largest consumers of gold, with the country's residents having a material affinity for the metal. For many years India had restrictions on the import of the metal, but scrapped them in 2015. At the time the rule change led to a doubling of the gold imported into the country according to news sources. 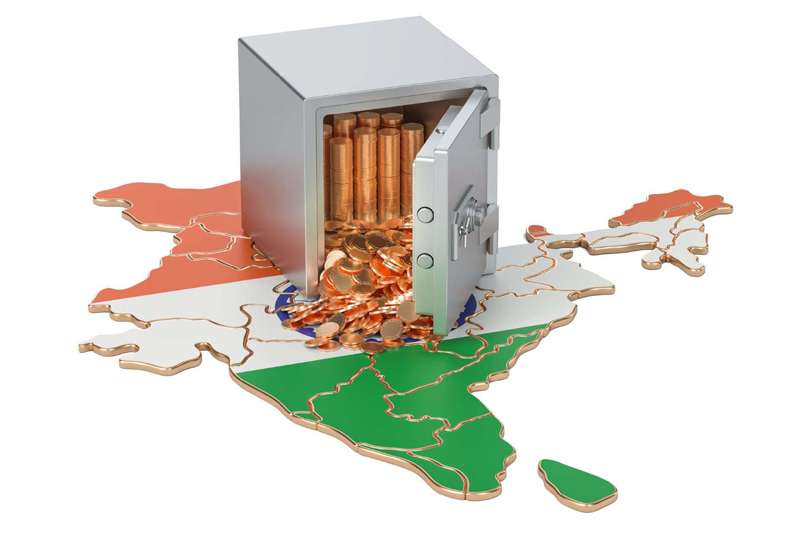 What's even more eye opening is that some industry watchers suggest that India's residents own 20,000 metric tons of gold -- a figure that would dwarf the country's central bank holding of the metal. Another small fry on the global stage, the Netherlands comes in at No. 9 on the top-10 gold owner's list with roughly 610 metric tons of the metal. That's down by about a third from the 910 or so metric tons at the start of the new millennium. That said, the country has been doing a lot with its gold lately. In late 2016 the central bank of the Netherlands announced that it was moving gold from the center of Amsterdam to a new location owned by the defense ministry. The goal is to better protect the gold. The new facility, which is expected to receive the gold in 2022, has been dubbed the cash centre and will also be used to deal with currency sorting and distribution. 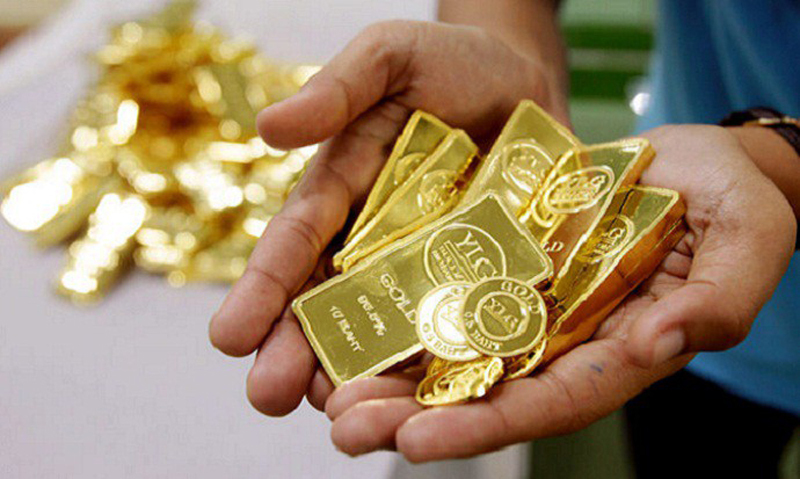 This plan follows the country's decision to bring a material portion of its gold back from foreign locations in 2013. The shifting piles of gold, meanwhile, has spawned internet rumors that, perhaps, the Netherlands doesn't have accurate records of its gold holdings. That would be unusual, but one thing is clear, the central bank doesn't seem to enjoy talking about its gold. 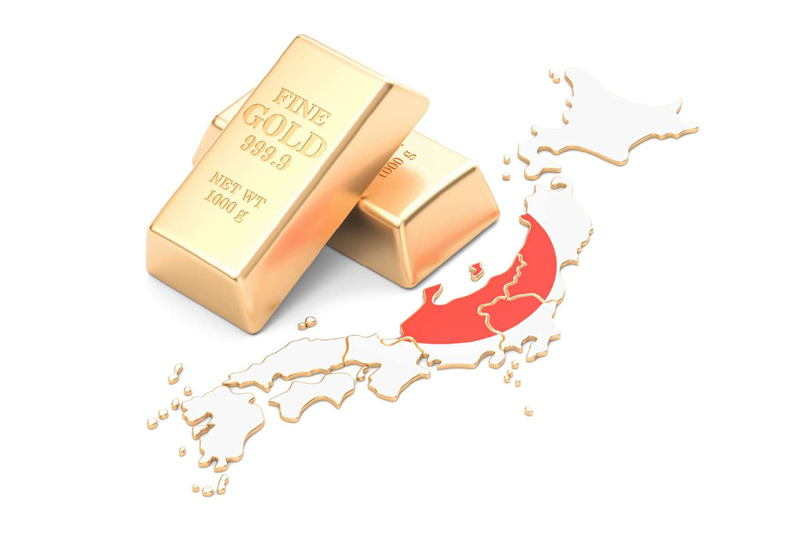 As the world's third largest economy, Japan has a surprisingly low rank on the top gold holdings list. The country's 765 metric tons of gold is only good for an eighth place showing and is roughly a tenth the size of the U.S. hoard. The country's gold stores have been basically static at that level for the last decade. One of the more interesting facts about Japan's gold reserves is that it contains gold coins that date back to before the Edo era, which started in 1603. Although these coins have been classified as bullion, which is basically a gold coin or ingot of little collectible value, Japan took stock of its older coins in the early part of the new century and brought out examples of its old coinage for display as numismatic (the fancy term for collectable gold coins) specimens. The country says very little about its gold holdings, but with over 400 year old coins in the mix, it must be an interesting stash. There's a sizable gap between China and No.7 Switzerland, which owns roughly 1,040 metric tons of gold. The only larger drop between two countries is between the United States and Germany, Nos. 1 and 2 on the list. Switzerland, meanwhile, isn't one of the top 10 economies in the world. Being a relatively small European nation, that makes sense. 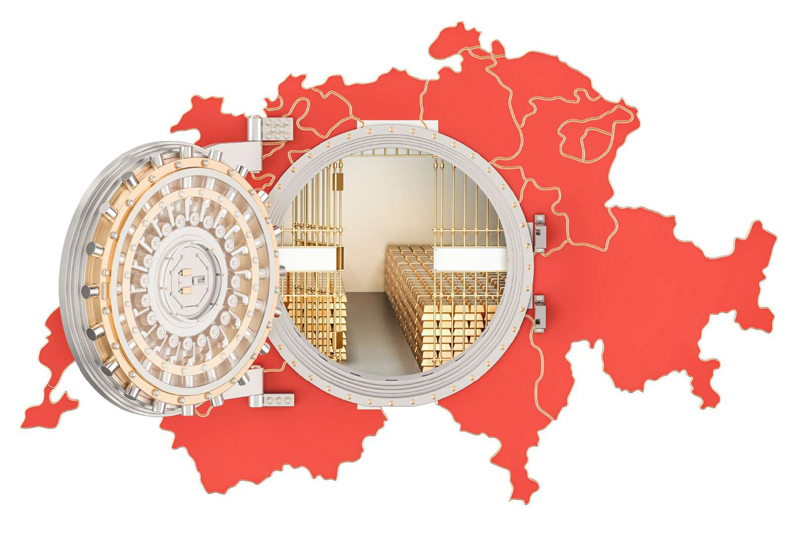 However, there's an interesting gold statistic that comes with a modest population (roughly around 8.4 million people) and a big gold stash... Industry watchers estimate that Switzerland has nearly four ounces of gold for every resident in the country. That's far and away the largest per capita figure, with top-five gold owners Italy and Germany only coming in with around 1.3 ounces per person. The United States, with over 325 million residents and counting, doesn't even crack the one ounce per person mark. Even more interesting when you consider the per capita number is the fact that Switzerland has reduced its gold holdings by 60% since 2000. If you think four ounces per person is a lot of gold, it was even higher at the start of the century. As the second largest global economy, China's spot all the way down at No. 6 on the top gold holdings list is at first somewhat shocking. That said, the country is still in the process of shifting from a largely rural and agrarian nation to a more modern, urban centered one. At this point China owns roughly 1,840 metric tons of gold. That's up from 395 metric tons in 2000. So, like Russia, it has been adding materially to its holdings over the longer term. The primary reason (rapid economic growth), however, is a bit different. Hong Kong, owned by China, has another 2.1 metric tons, but that's just a rounding error compared to the holdings in mainland China. 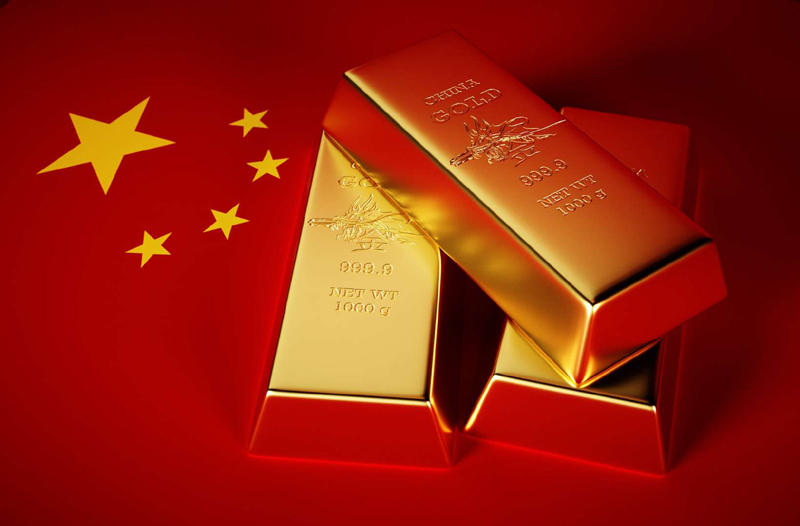 Recent news reports suggest that China has been adding to its gold reserves lately. Locked in a contentious trade battle with the United States, it makes sense that China would be looking to fortify its finances with gold. This move is also likely part of the country's efforts to shift away from the U.S. dollar as the primary global currency. There's a long way to go before the dollar loses its supremacy, so there may be more gold acquisitions in the cards for China over the near term. Next on the list is Russia with around 2,070 metric tons of gold. Russia isn't one of the top-10 global economies according to the IMF, so being in the middle of the top-10 gold holdings list is something of a surprise. That said, the country has been a military and political agitator on the global stage in recent years (it annexed Crimea in 2014 to much global criticism, for example), so having some insulation against outside financial shocks makes a lot of sense. Note that the country is currently facing strict sanctions related to its actions that have put a material crimp on its economy. With that as a backdrop today, it might be interesting to know that Russia's gold stores fell to a very low 340 metric tons in 2000. Since that point, however, the country's central bank has fairly steadily added more of the yellow metal to its stash. In fact, over the past year or so, it has increased its holdings of gold by more than 12%. Those additions were enough to push the country up one spot on this top-10 list. 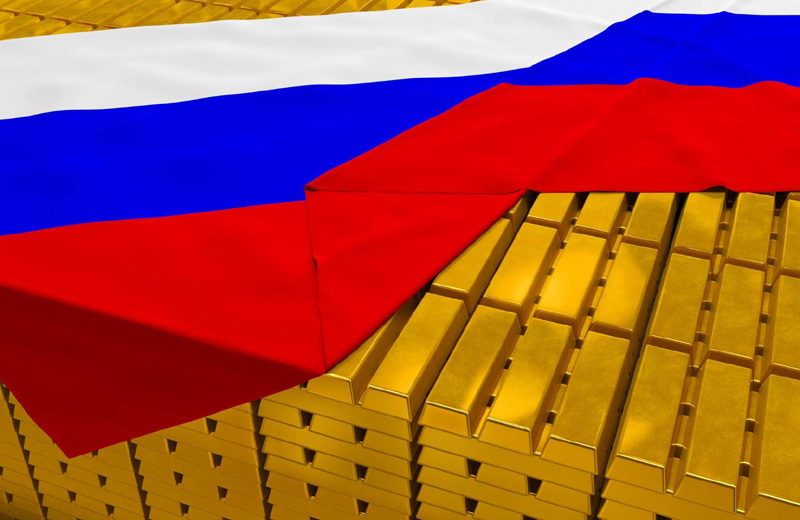 If the trends hold, it also seems likely that Russia is intent on bolstering its gold holdings until there's some material change on the sanction front. Just 15 or so metric tons behind Italy on the top-10 list is France, with about 2,435 metric tons. France is the sixth largest economy in the world, so its No. 4 ranking is pretty reasonable. However, it had much more gold at the start of the new millennium, when it owned roughly 3,025 metric tons. In just 18 years, then, the country has sold around 20% of its gold reserves. That's a pretty notable change, though the tally has held pretty steady at 2,435 metric tons for the last decade. 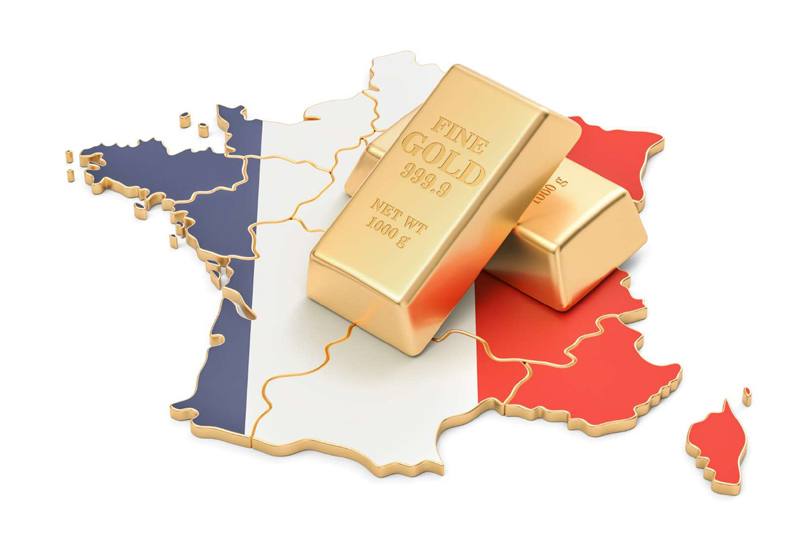 France's central bank carries gold at market value, unlike the United States. So changes in gold prices can have a big impact on the country's balance sheet. For example, in 2017, the latest year for which data is available, the value of France's gold holdings fell by $1.26 billion Euros. That's a lot of money on an absolute basis, but France owns a huge amount of gold. In percentage terms the drop wasn't nearly as startling at only about 1.5%. There's upside potential here as well. If the price of historically volatile gold were to rise materially France's central bank would suddenly seem much richer. 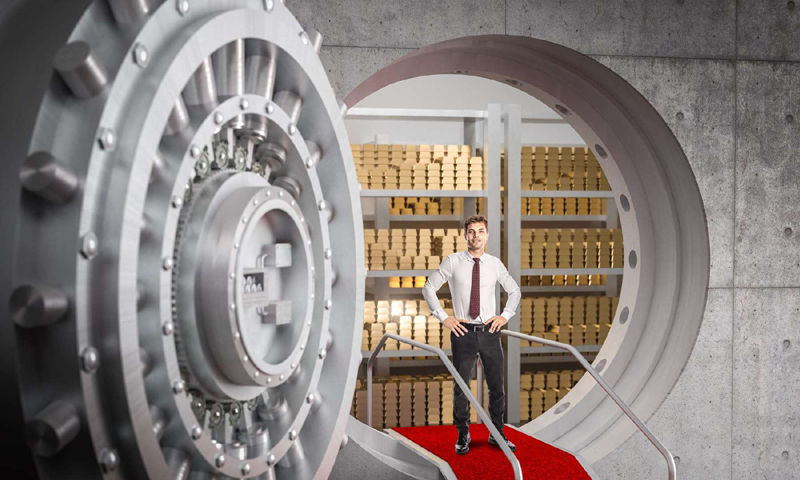 One more interesting thing about France's gold stash is that it keeps it "hidden" in a vault underneath its central bank building. You can't actually see it in person, of course, but you can learn about the gold if you happen to be lucky enough to visit France during the annual European Heritage Days event when the bank opens its doors to the public. 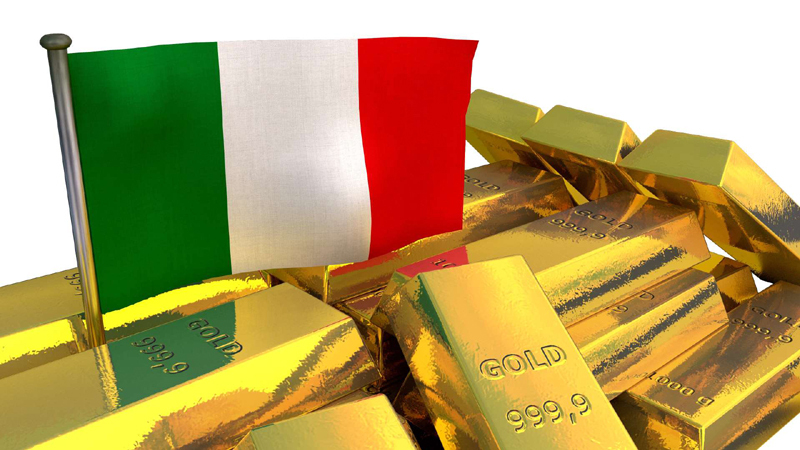 The third country with the largest gold holdings is fellow European Italy. Italy clocks in at roughly 2,450 metric tons. That's just a little above No. 4, but actually below the International Monetary Fund (IMF), which owns about 2,800 metric tons. Since the IMF isn't a country, however, it didn't make this list -- but not mentioning the IMF here would have been a noteworthy oversight. Interestingly, Italy's gold stores haven't budged since the start of the century, unlike No. 2 Germany's reserves, which have slowly declined lately. With just the eighth largest economy in the world, Italy showing up so high on the gold list might be something of a shock. Indeed, the country's economy is around one tenth the size of the United States' economy. However, Italy and gold have a very long history, with mining for the precious metal in the southern European country dating all the way back to the Roman Empire. Note, too, that Italy's gold reserves plunged to just 22 metric tons during WWII, a low number driven by Nazi Germany's confiscation of the metal during the war. In the end, getting to a comfortable level of gold ownership and staying there makes a lot of sense for this nation. There you have it, the No. 2 owner of gold is Germany. The country owns a bit under 3,370 metric tons of gold. What's notable here is that Germany's economy is the fourth largest in the world, roughly one-fifth the size of the U.S.'s economy and one-third the size of China's. 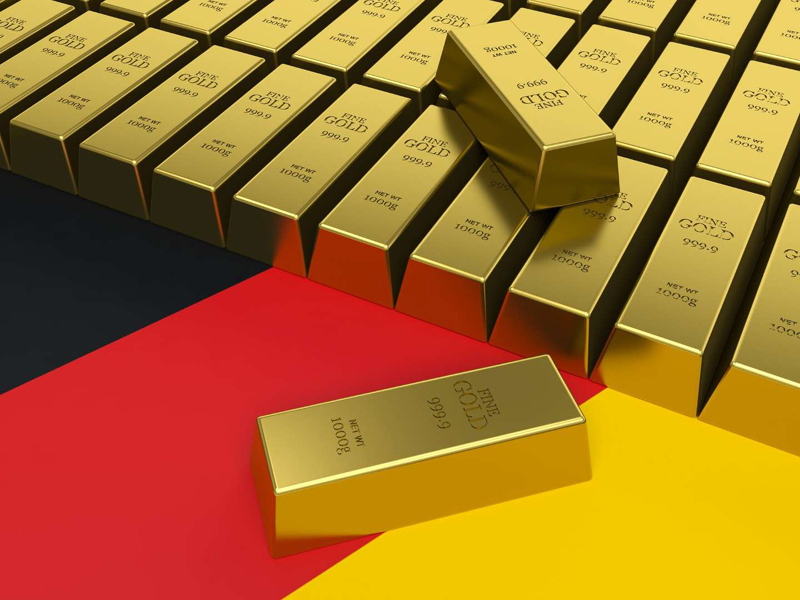 Showing up in the second slot on the gold list may seem like Germany is punching above its weight. That's especially true when you think back to the financial and political turmoil that followed WWII in Europe, notably for that war's primary aggressor. Europe's financial devastation, however, might help to explain the country's fondness for the metal. Add in the crippling inflation Germany experienced in the 1920s, and you can see where a store of wealth like gold is a key piece of the German Central Bank's balance sheet. Even in the worst case scenario, it will have this huge gold horde to fall back on. Still, it's worth noting that the country's holdings of gold are down slightly over the past decade, falling from around 3,410 metric tons at the end of 2008. That's not a huge change, but the decline has been fairly steady. However, there's a long way to go before Germany loses its second place ranking to No. 3 on the list. 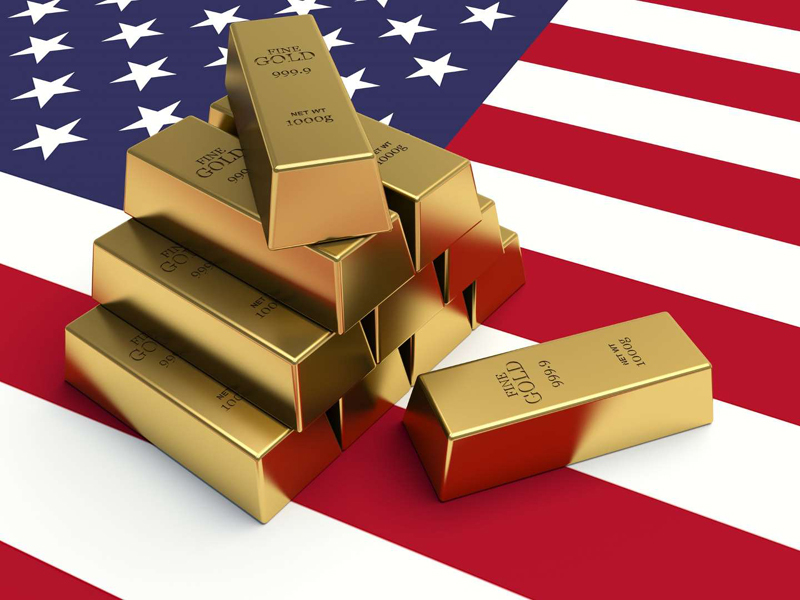 The United States has long sat atop the list of largest gold owners. The size of the country's economy (it's the largest in the world) and its long history of financial success make this a less than shocking finding. What is more interesting is that the over 8,100 metric tons of gold the United States owns is more than twice the amount of the second largest holder of gold (no spoilers, you'll have to wait to find out what European nation claims the No. 2 spot). In other words, the U.S. gold stockpile is far and away the largest. It's also four times the size of China's gold hoard despite the fact that this emerging nation is the second largest world economy. There's one more interesting thing about the U.S. gold stash, it's carried on the Federal Reserve's balance sheet with a book value of $11 billion. However, the market value of that gold is closer to $300 billion, according to the central bank. That means that the U.S. government may have a little more of a financial backstop than the official numbers suggest. Not such a bad thing with U.S. debt levels ratcheting swiftly higher following the deep 2007 to 2009 financial downturn.